Pictured: Chevrolet Camaro ZL1 (L) and Chevrolet Camaro 2SS (R). A brand synonymous with higher performance, HSV is re-engineering the legendary Chevrolet Camaro for Australia and New Zealand markets; the first manufacturer to do so with full volume compliance. These upgrades add to an already exceptionally well-specified package. The ZL1 challenges the most advanced sports coupes in the world with unprecedented levels of technology, refinement, track capability and straight-line acceleration. The ZL1 is the pinnacle of Camaro performance thanks to its supercharged V8 making it the most powerful production Camaro ever built. While power and torque figures are still subject to local certification, the company expects to confirm ZL1 maximum power ’ torque in the vicinity of 480kW and 860Nm respectively. 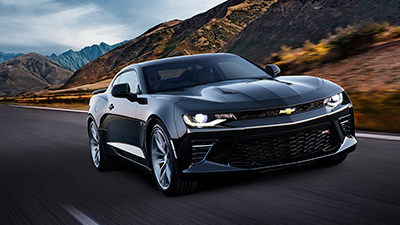 Recommended Retail Pricing of HSV’s MY19 Chevrolet Camaro 2SS will start from $86,990 for the 6-speed manual while the ZL1 will be available from $159,990. The launch of HSV’s MY19 Camaro range will be staggered over the coming months with the 2SS automatic the first to debut, re-manufacturing set to commence early March at HSV’s Clayton South, Victoria facility. Production of the ZL1 automatic will commence in April, with build of the manual variant to kick-off in May. Build of the 2SS manual will begin in June.